Styled with seaton turtleneck and ezra pant . 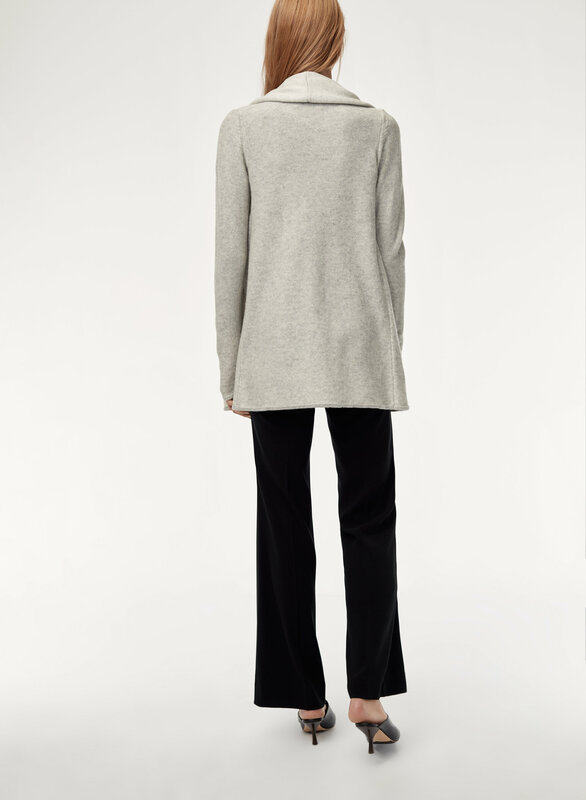 A signature Babaton piece, knit with a blend of cashmere and wool. Soft, warm and plush, the yarn is specially processed to give it a subtle lustre. The fluted design guarantees a flattering fit. Purchased in multiple colors, classic staple sweater. Keeps me warm in this COLD Cali weather (40-50F):) I got a size XS and fits me perfectly. I’m 5’1”, 110lbs. I’m normally a Small/Medium but 7 months pregnant so thought I should get a large. It’s soooo big in shoulder, upper arms and wide up top so it’s kind of a big awkward fit instead of just being a little oversized. Wish I would have got Medium it even small maybe. I was afraid it may not be good. But was I wrong. Love it. Comfortable and warm. Pair with my diamond mosiac scarf and it’s classy wear. I order medium just because it was on sale and all it was left. Its roomy for extra add on clothes underneath. I’m ok with it. After one wash and drt it shrinks a bit so I’m ok with it. Fits better this way. I just got it a few weeks ago and it's my go-to sweater for both the office (with a nice blouse) or the weekend (with a t-shirt). So comfy and warm and looks very high-end. My new favourite cardigan. So soft,cozy and warm. Very nice and warm. There are 2 tones...light taupe on the inside and tan on the outside. The wool is slightly scratchy, but I usually layer it with something else so it's not really a problem. Started pilling right away:-( I bought it for a deeply discounted price, but if it were full price I'd be pretty upset. True to pic, classy and versatile. I bought this cardigan since I didn't have one that I liked. It's not too thick and warm so it's great for pairing with other clothes. I personally wear it with tank tops and Jean's and it looks great. Might buy another color of this cardigan. 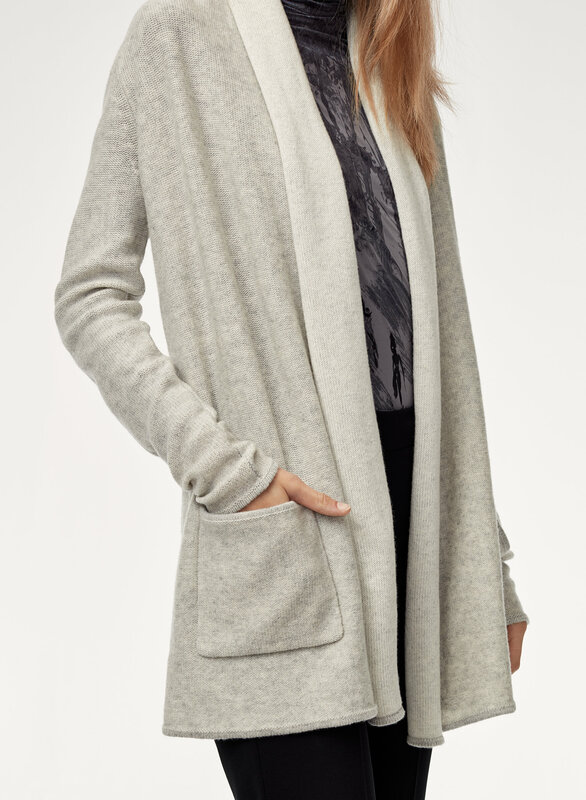 I bought this cardigan in grey and it was really flattering overall. It goes well with a lot of outfits. One little drawback is that it can be itchy when you where sleeveless top underneath. Favorite cardigain/sweater of all time. I hope Aritzia keeps this for eternity. I bought my first Beekman over 5 years ago ( I think) and bought two more a couple years ago. I always receive complements every Fall/Winter season and this can be worn casual or fancy! For three months while travelling I also used this as a pillow! I love it, rarely have to get it cleaned and worth every penny. 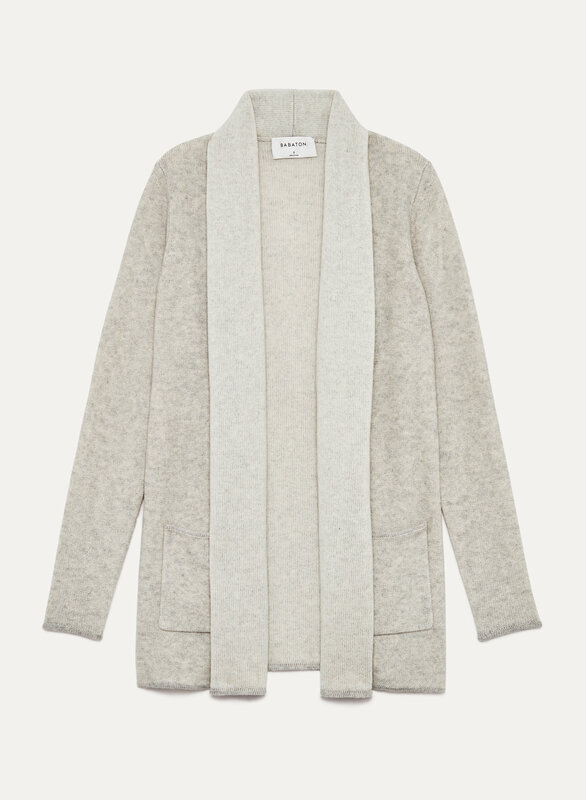 Aritzia please do not discontinue this. The sweater is warm, comfortable and fits perfectly! I cannot get over this cardigan! It's beautifully constructed, fits perfectly, and is so (surprisingly!) warm. This is one of my favorite pieces to pull out of the closet. I'm seriously considering buying more in other colors! So versatile and great for the office.